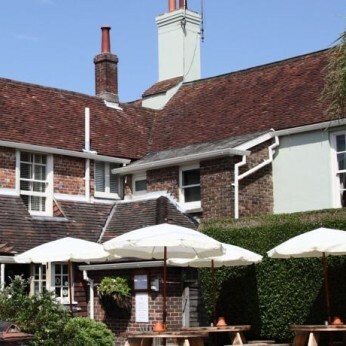 The Bull is a stylishly-converted British pub at the heart of Ditchling village. We’re inside the South Downs National Park, yet only 15 minutes from Brighton and the sea. Favoured by locals and travellers alike, the pub offers a warm and vibrant atmosphere most evenings and weekends and four individually-designed guest rooms. Low timber beams, open fires and deep leather sofas make us a cosy retreat on chillier days; in the Summer, there’s a terrace to enjoy and a large garden with a play area and views of the Downs. We have on offer a delicious, inventive menu, lots of local brews and an enviable wine cellar. Families are welcome and there’s plenty of parking.